In the past, teeth were filled with a silver filling called amalgam. 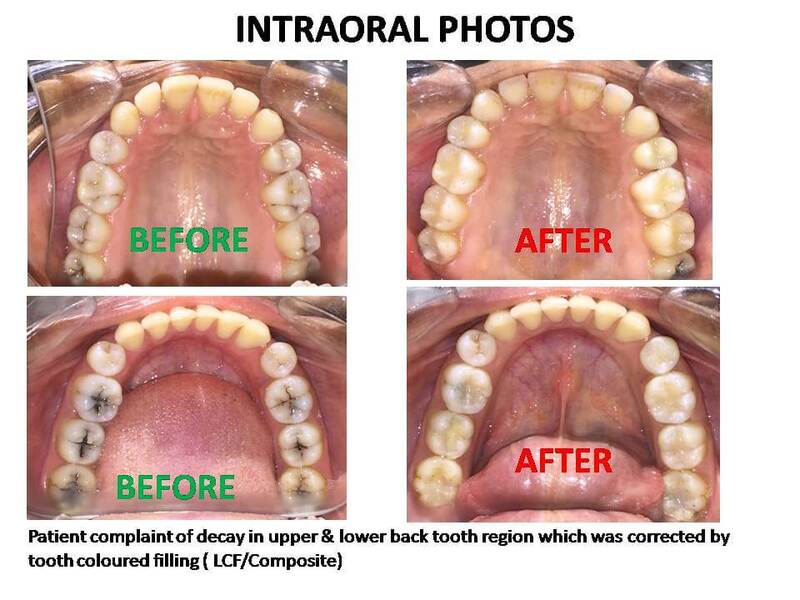 Today this trend is changing as more patients opt for a natural-looking and metal-free fillings. Best dentist in Pune are using more tooth coloured materials (composite resins and porcelains) that are both safe and predictable. The most important feature, for many patients, is that they look and react more like natural teeth. 1. The tooth surface where filling is required is ethched with a special gel. 2. This is followed by applying a bonding liquid on the prepared tooth surface. 3. This is then cured with a special light. 4. 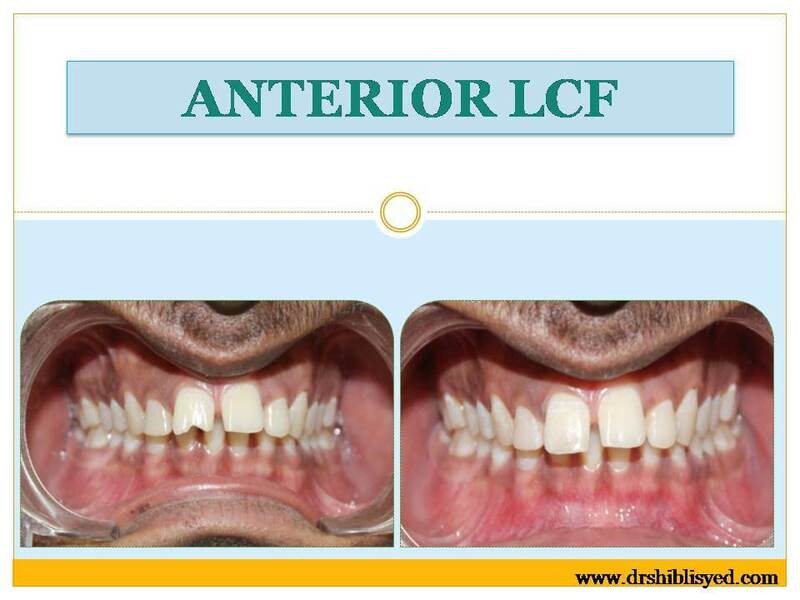 Once the bonding liquid is set ,the composite filling material is is applied and sculpted into the desired anatomical shape by our Good Dentist in Pune. 5. This is then again cured with a special light. 6. 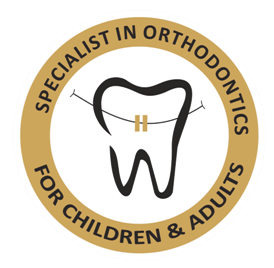 Once set, the filling is trimmed, smoothed and polished to a natural appearance. 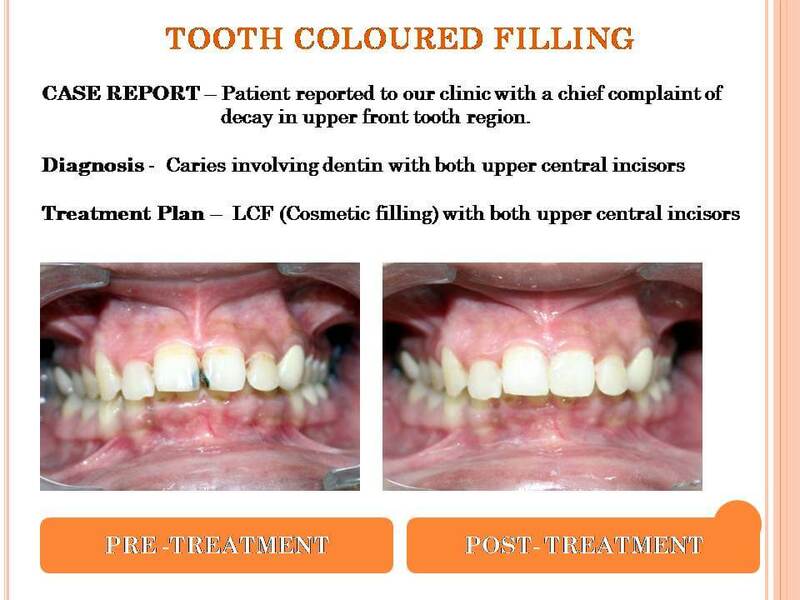 For what conditions is tooth coloured restoration in Pune considered? • To change the colour of discolored teeth. • To close gaps between front teeth. • As an alternative to silver fillings. Yes, you can replace old, weak and ugly black silver fillings with new, safe, tooth colored replacements. These materials make your mouth look and feel natural and will bring a smile to your face. Other reason of replacing an old filling are microleakage& cracks. Tooth coloured filling looks great! You will be amazed at having fillings that are not at all noticeable.For this our Best dentist in Pune will take your pre and post-op photographs. 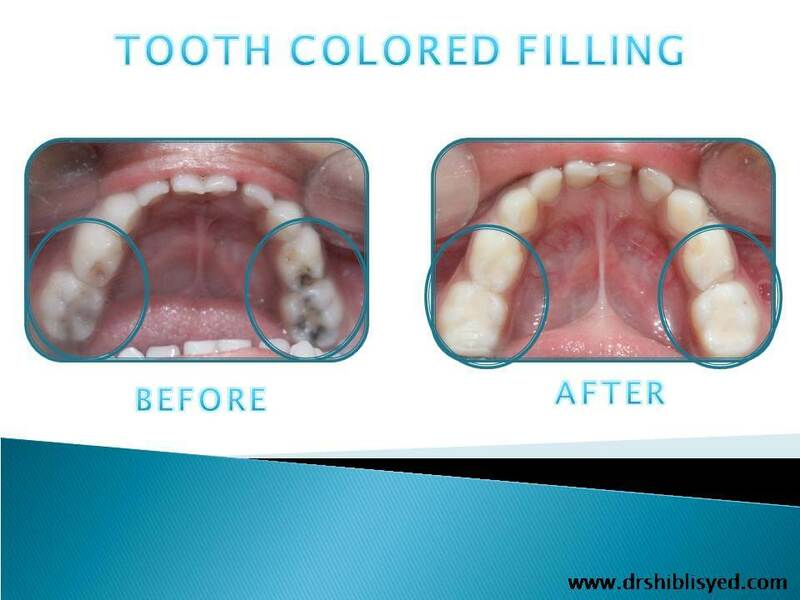 How long do the tooth coloured fillings last? Studies have shown that composites last 7 to 10 years .The factors that determine the longevity of the filling include the tooth, the size of the filling relative to the tooth and the oral hygiene. A new filling should feel smooth & comfortable just like your own teeth. After the anesthetic effect is over, you should be able to bite comfortably. How is the tooth colored filling placed? 4. Once the bonding liquid is set ,the composite filling material is is applied and sculpted into the desired anatomical shape by our dentist. How long does it take to place a tooth coloured filling? Because a composite is more difficult to place than a silver filling, it takes the dentist about 10-20 minutes longer to place. Placement time depends on the size and location of the cavity. What care or instructions should I follow after a tooth coloredfilling ? Prices vary, but composites average about two-three times the price of a silver filling. What are the problems that can occur after a tooth filling / Complications that can occur after a tooth filling ? Contact your Best dentist in Pune if the sensitivity does not subside within two weeks or if your tooth is extremely sensitive. He or she may recommend a desensitizing toothpaste, may apply a desensitizing agent to the tooth, or possibly suggest a root canal procedure. Asthetics are the main advantage, since dentists can blend shades to create a color nearly identical to that of the actual tooth. Composites bond to the tooth to support the remaining tooth structure, which helps to prevent breakage and insulate the tooth from excessive temperature changes. What are the disadvantages of tooth colored fillings ? Along with the higher cost and the extra placement time, the patient can experience post-operative sensitivity. Also, the shade of the composite can change slightly if the patients drinks tea, coffee, or other staining foods. For more information on tooth colored fillings, including onlays or inlays please feel free to chat with us online or fill your query in our contact us form. Our executives are more than willing to help you 24 X 7.